Stop swiping and start dating! Join us this Valentine's weekend for the Peach State Speed Date! Stop swiping and start dating! 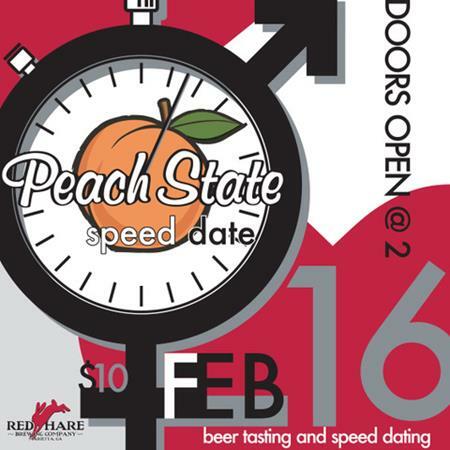 Join us this Valentine's weekend for the Peach State Speed Date! Mix and Mingle with singles who love craft beer just as much as you do. Each round includes beer tastings, including our newest release of the Peach State Pale Ale which will make it's great debut in the taproom that day. Admission is only $10 and for all participants the first beer you purchase is only $4 -- you know to help give you some liquid courage. ?? Mix and mingle will start at 2pm and speed dating rounds will begin at 3pm. There will be food for purchase available by ANGELFIRE7 BBQ. Tickets are limited -- so make sure to grab yours today!